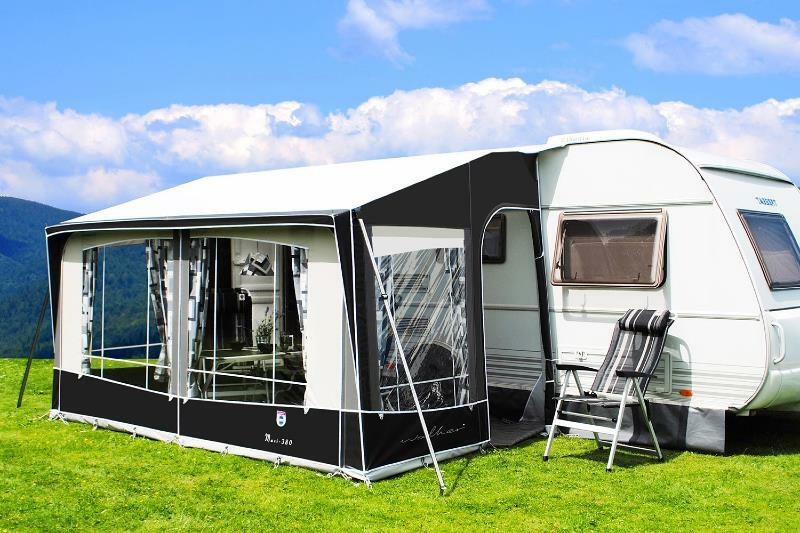 The Walker Maxi-380 is an ideal awning for Seasonal Pitch or Winter use and also for touring holidays. Maxi-380 has a width of 385cm and a depth of 235cm at floor level. The sporty colours anthracite/champagne give this awning a modern contemporary look. Width: 380 is 380 cm. Material: Heavy Duty TenCate all season. Weight: incl. steel frame: 35 kg. Safety Set : Extra poles to take additional snow-load for Winter camping. Aluminium 28mm frame with Easy-PowerGrips.